Meet our Mountain Home, ID Branch – Alliance Title & Escrow Corp.
Nestled just under an hour south of Boise, you’ll find Alliance Title’s Mountain Home, ID branch. This team includes an exemplary group of knowledgeable and proficient individuals who are all elated to help you through your next real estate transaction. The Mountain Home team provides consistent, accurate, and professional title and escrow services to their customers. Each employee has become an invaluable member to Alliance Title and rounds up almost 57+ years of experience to the industry. Alliance’s Mountain Home branch is committed to being an active member of the community and takes pride in being located in Elmore County. 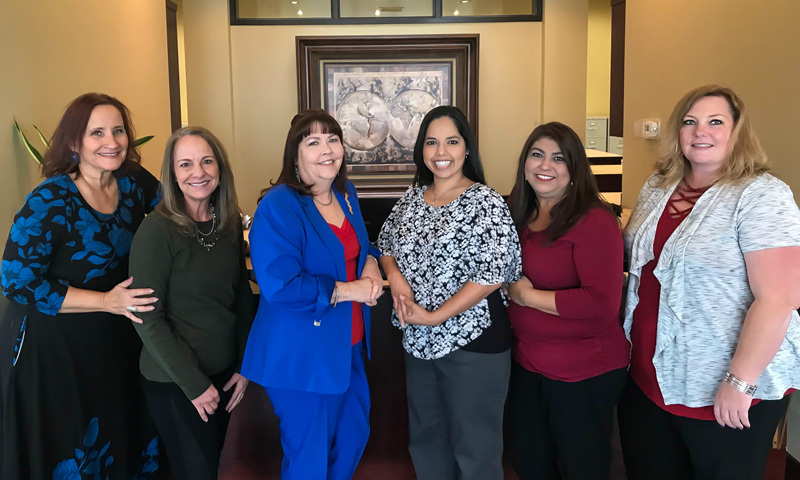 The Mountain Home branch has been a constant supporter of the Mountain Home Chamber of Commerce, the Military Affairs Committee, and the Elmore County Board of Realtors. Two of the Mountain Home’s branch team have family members that are active or retired from the United States Airforce. Alliance’s Mountain Home branch also contributes and participates in the October companywide annual campaign, “Closing the Hunger Gap.” Over the past four years, the Mountain Home branch has been the consistent top contributor to the annual food drive. Given the size of the Alliance Mountain Home team of five, this illustrates the branch’s commitment to their community. Whether you’re buying or selling a commercial or residential property in Elmore County, the professionals at Alliance Title’s Mountain Home location are excited to help make your next transaction a success!